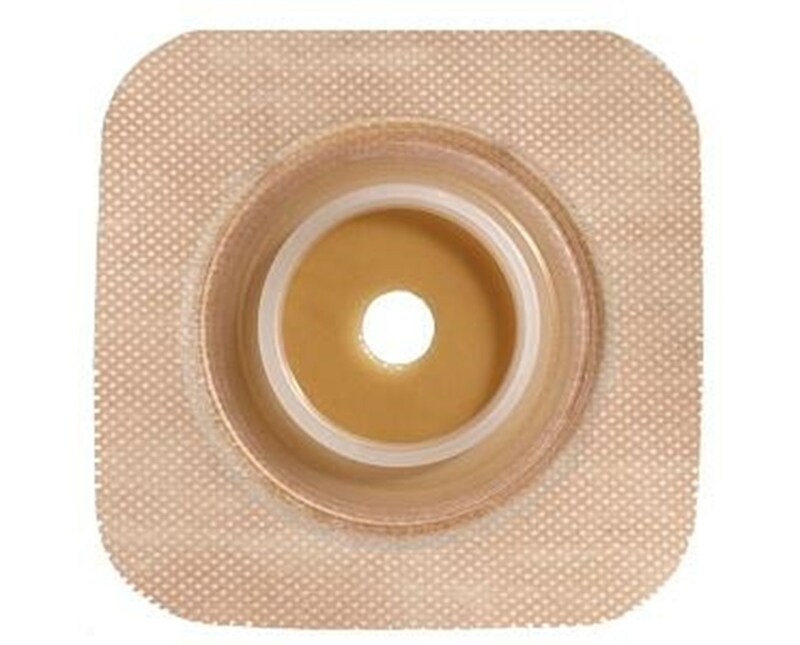 The SUR-FIT Natura ostomy system is an all-inclusive product line with the latest in skin barrier technologies. 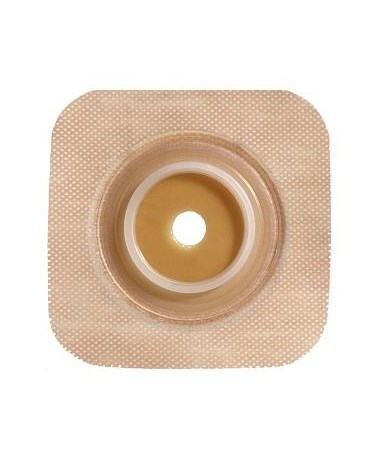 This system features a plastic coupling ring, which allows the pouch and skin barrier to snap together for audible security. 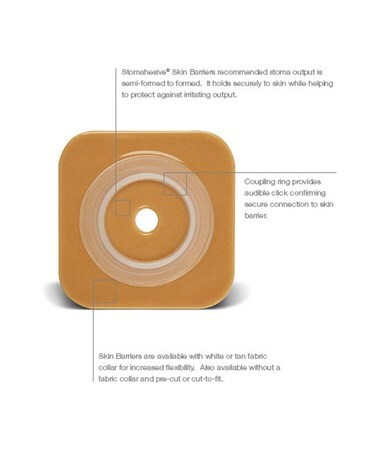 Stomahesive skin barriers are ideal for people whose stoma output is semi-formed to formed. This reliable skin barrier provides a unique formula that enables the skin barrier to adhere to both dry and moist skin. It is gentle on skin yet holds firmly. This barrier is tan, cut-to-fit with an overall dimension of 4” x 4”. Purchase the SUR FIT Natura skin barrier right here online, select a size from the drop down above and press add to cart! The skin barrier provides a unique formula that enables the skin barrier to adhere to both dry and moist skin. Gentle on the skin but holds firm. Features a flexible tape collar. Tan, overall dimension 4” x 4”.